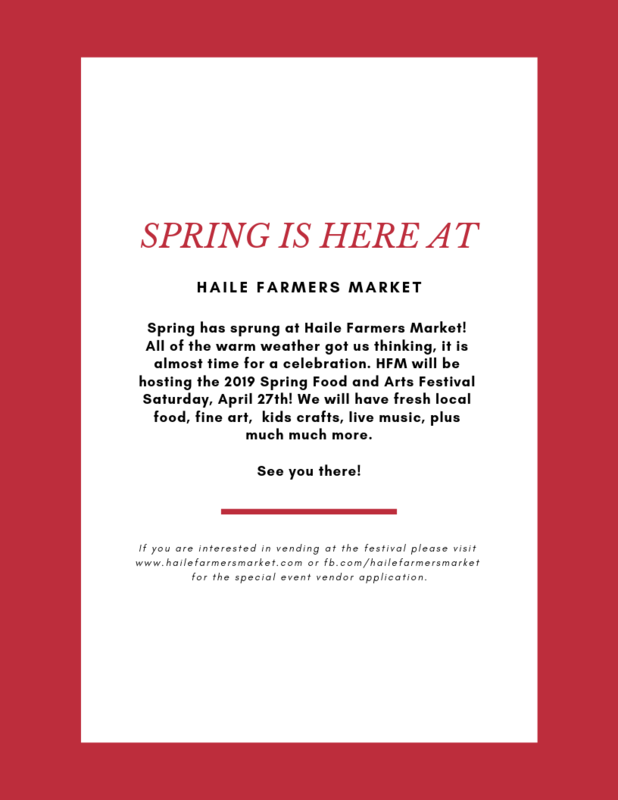 Mark your calendars for the Haile Farmers Market 2019 Spring Food and Arts Festival Saturday the 27th of April, 8:30 am-Noon. 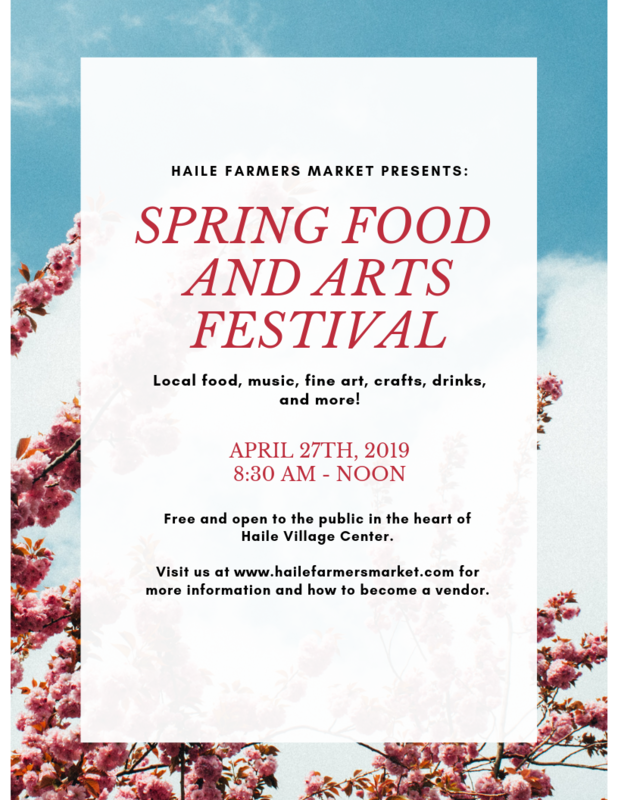 We'll be hosting handmade craft of all kinds, special kids events/crafts, live music, food tastings, and much much more. Bring the whole family for a day at the market to usher in the warm weather to north central Florida! We accept vendors who make their own products, not resell products. Please fill out our event registration form at https://forms.gle/XMZ9pHTwFw1XUhmJ9. Special event booths cost $30.